No one ever fully, fills you in on what becoming ‘Mum’ entails. How easy it is for example, to become lost in the crowd. Or how cold and lonely it can be on the other side. 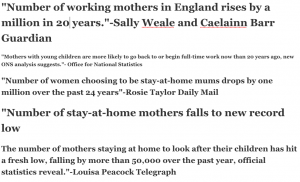 Today less and less women choose to be full time Stay At Home Mums (SAHMs). A great statistic in the fight for choice or equal rights for all women. However, a drop in ‘type’ has also created a deficit in the pool or community any given parent has access to. In America suicide is the main cause of death for first time mums and research sites a lack of support as the main driving force in their declining mental health (as a demographic). No matter what your situation, becoming a mum is a full time commitment. Having a work life environment to frequent, away from home and the kids can be a life saver in irradiating that ‘lost’ mum feeling most SAHMs face. But it can also be an added (unwanted) stress. To assume the problem is as easily solved as sending us all straight back out to work is gravely naive. This year has rushed by at full speed. Sometimes so fast I’ve felt it’s left me behind in the dust. Fighting for breath and desperately trying to keep up. Don’t get me wrong, our little growing family is galvanising nicely into a beautifully formed unit. But to say I’m not struggling would be the biggest porker I’ve ever told. There is often a preconceived idea that staying at home to raise your kid(s) is a choice and maybe for the privileged it is. However, a lot of mums don’t have the luxury to choose. Whether it’s because they’re going it alone, child care costs are greater than their earning potential or that their children need specialist care. Whatever the reason, staying at home to raise your kids, single handily, 24/7 is not a decision anyone takes lightly. For me? Well, yes I’ve relished the opportunity. I won’t lie I’ve enjoyed the moments I’ve been afforded; the magic that women, who have no choice but to work sadly miss out on. But, I’ve also felt lost, wiped out and irrelevant a lot of the time. My journey as a mum, tainted by the fact that me and my kids have no other option but to endure each other every second of the day. Day in, day out. And it guilts me to confess it, but it has to be said! I love my kids, yet having to be their everything all of the time, no matter how cute and wonderful they are leaves me (on occasion) disliking them immensely! Of course it’s not their fault and certainly the resentment passes, no one is perfect and there are only so many Toddler tantrums one mortal can take. That lost in a crowd feeling is actually why I blog.